I recently met fellow slots enthusiasts and gambling podcasters at Foxwoods Casino, a tribal casino located in southern Connecticut, in part to create this Easily Win a Little at Slots at Foxwoods Casino Connecticut article. Other goals included promoting my Professor Slots brand and, last but not least, figure out how to win at slots there. 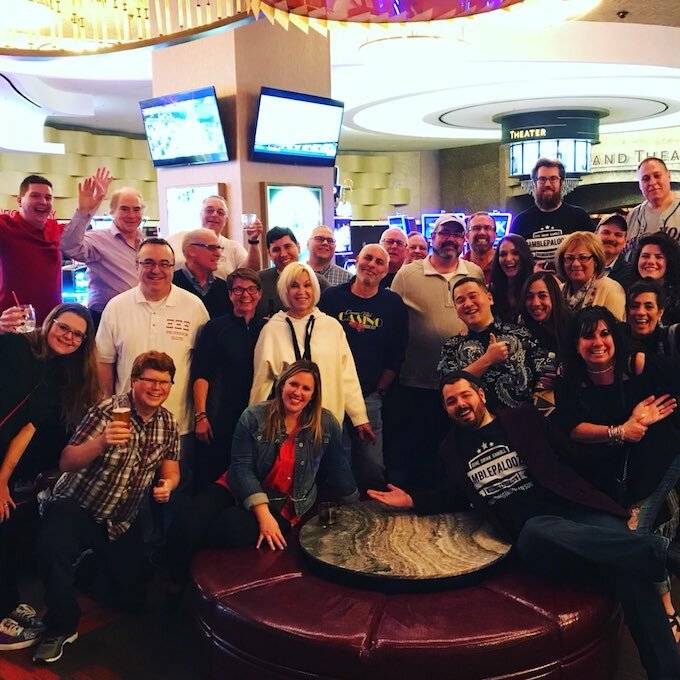 This “Gamblepalooza” meetup was organized by Vito from Cousin Vito’s Casino Podcast, who did a great job with what we all hope will become a regular annual event. Also, a special thanks to the staff at Foxwoods casino, especially to our Casino Sales Executive, John, for his professionalism, dedication and attention to details. Thanks, Vito and John! In this Easily Win a Little at Slots at Foxwoods Casino article, I’ll primarily go over what I learned about how to win at slots there. As I’ve come to understand, and hope you have to, my winning strategies for slot machines isn’t about how to be more lucky. Rather, it’s about understanding, or at least using, how casinos have deliberately set up their slot machines in order for slots enthusiasts to take advantage of as an opportunity to win. What I found at Foxwoods Casino was such a winning opportunity. As I’ll explain, a few slot machines have been set up in such a way as to be easily taken advantage of. That’s the good news. The bad news (spoiler alert!) is that all such winnings are rather small. However, easily winning a little at slots is probably very useful to far more people, when most slots enthusiasts are low rollers. Easily Win a Little at Slots at Foxwoods Casino Connecticut. 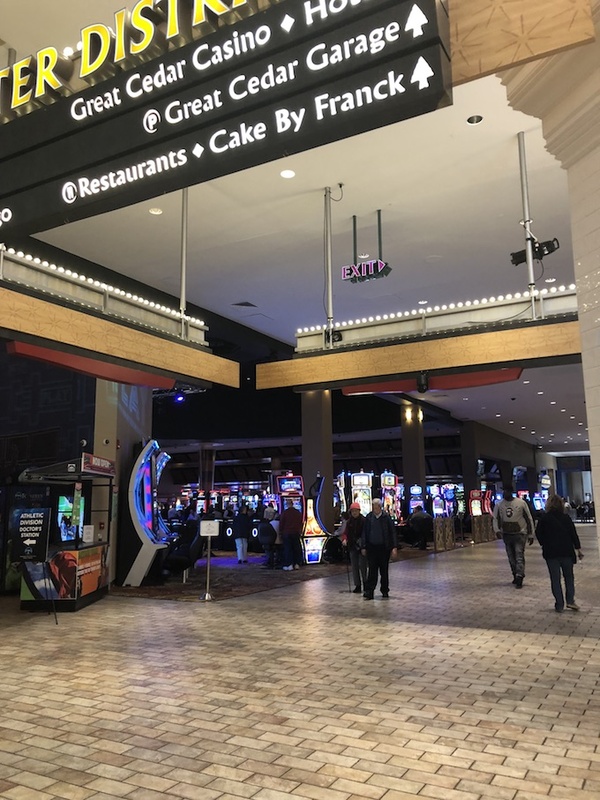 My first evaluation of Foxwoods Casino Connecticut was done online when preparing to publish my article Connecticut Slot Machine Casino Gambling back in July of last year. I learned that Foxwoods Casino Connecticut had grown, partly due to competition with nearby Mohegan Sun Casino, to become one of the largest casinos anywhere. Depending on how casino “largeness” is measured, it is currently reported to be the third or fourth largest casino in the world, although it has ranked as high as second largest in the past. Other items of interest I learned then was that Foxwoods Casino Connecticut is a American Indian tribal casino owned and operated by the Mashantucket Pequot Tribe. Since Foxwoods is a tribal casino, it is not subject to state gaming regulations but rather regulated though a negotiated state-tribal gaming compact approved by the U.S. Department of Interior. For those interested, this state-tribal compact is available at Connecticut State’s Department of Consumer Protection on their Tribal-State Compacts and Agreements webpage along with the state-tribal compact for the Mohegan Tribe for Connecticut’s Mohegan Sun casino. The final item of interest to slots enthusiasts regarding gaming regulations is monthly actual payout return statistics available on the State of Connecticut’s Gaming Revenue and Statistics webpage. For the most recent month, March of 2018, the actual payout return percentage was reported to be 91.56%, the lowest payout return since Foxwoods fiscal year begins on July 1st. As it happens, these statistics show that consistently highest payout returns were at the beginning of Foxwoods fiscal year. From July through October of 2017, the average payout return was 92.05%, with the highest monthly payout return being 92.16% in the month of October 2017. While Fiscal Year 2017/2018 is not yet completed, the average annual payout return for the last 5 years going back Fiscal Year 2011/2012 has shown a remarkably steady increase. For Fiscal Year 2011/2012, the annual payout return was 91.59%, followed by a steady increase to 92.19% for the most recently completed Fiscal Year of 2016/2017. Finally, it is well worth noting there has been a steady and significant drop, currently nearly halved, in the total number of slot machines available at Foxwoods Casino Connecticut from Fiscal Year 2008/2009 to present. In Fiscal Year 2008/2009, coinciding with the last year of the relatively recent 17-month-long Great Recession, Foxwoods Casino Connecticut had 8,108 slot machines. This number of slots has dropped steadily each year since, with total number of slot machines currently being 4,106. 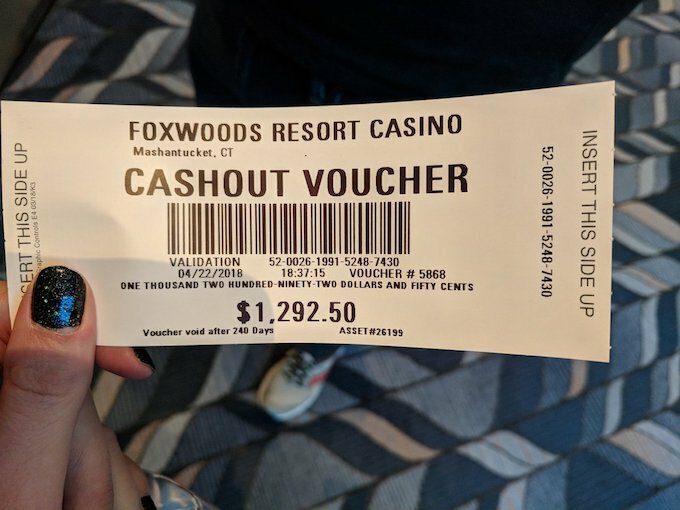 So, what does all this mean in terms of winning at slots at Foxwoods Casino Connecticut? Well, it’s hard to say. Initial assessments are fact-finding missions, with little in the way of conclusions as much as it might be nice to do so. But, that being said, it sure is interesting when such data-supported trends are seen. In all seriousness, it is indeed hard to say what is really going on at Foxwoods. However, it is obvious something dramatic and dynamic is happening. Staying focused on winning at slots and setting aside all other considerations, I wonder how we might use this rather interesting information to win more at slots at Foxwoods. But, before drawing any more conclusions just yet, let’s continue this article with whatever information can gleamed from actually visiting Foxwoods Casino Connecticut. Frankly, Foxwoods Casino is simply huge. Upon checking in at 2 p.m. on a Thursday, I went for a walk for a few hours. I didn’t have, or want, a map. While walking, I counted six separate sub-casinos within the overall casino. I could talk about my feet getting sore for walking for the next 5 hours, despite wearing comfortable shoes. Instead, let’s talk about what I saw. By far the most important thing I noticed was what I didn’t see. I wandered everywhere, without doing any gambling. I was just looking around, letting my feet go wherever they wanted while I soaked in whatever there was to do so. I went to every sub-casino, and visited every high limit area in every sub-casino. And do you know what I didn’t see, not once during that 5-hour walk? I didn’t seen a single hand pay being given out by a slot attendant. Everywhere I went, there were no hand pays. None. Now, again, I tried not to draw any obvious conclusions just yet. Why? Because it was only late afternoon on a Thursday. I didn’t want to bias my observations by drawing the conclusion begging to be made without looking for hand pays when the casino was a little busier. So, to avoid jumping to a conclusion too soon, I decided to deliberately look for slot machine hand pays until Friday evening. 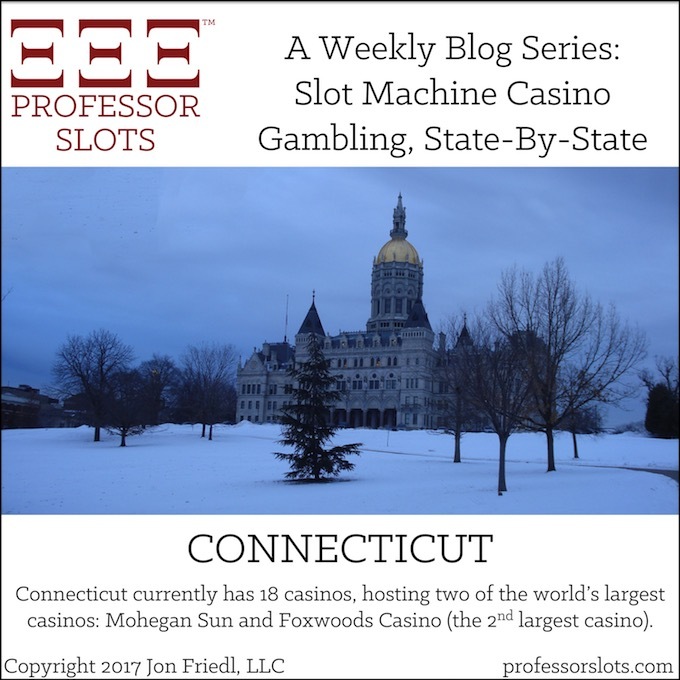 But, tentatively, I held in my mind this possible conclusion: Foxwoods Casino Connecticut gives out a relatively low number of hand-pays to slots players. If confirmed, only small non-taxable jackpots would be possible. While my personal slots play is high limits, this was personally quite upsetting. However, for the sake of my lower roller readers and listeners, I realized this might be just what they most would like. They might most like to spend a little bit of money to win a slightly larger bit of money. Of course, this would depend on finding a way to win jackpots less than the taxable limit of $1,200 to generate the hand pays I wasn’t seeing. I decided that, if few hand pays was confirmed, then I needed to focus on looking for ways to make small wins with small bankrolls. So, I did. And, I did. After my wandering around on Thursday, I met up with Vito and other early arrivals to Vito’s “Gamblepalooza” event. I also had an opportunity to talk and question John, the Foxwoods’ Casino Sales Executive effectively acting as our event host. And, what was the first thing Vito said to me? That his wife Amanda was over on a Buffalo slot machine after having won a bunch of free spins. I asked where, and he pointed to where she was. Maybe 20 minutes later, Amanda joined our group – at which point I asked her specifically which machine she was playing. She told me where there was a row of identical-looking slot machines near the walkway between the casino lobby and the hotel elevators. I asked which slot machine in this row had she played, and she said the slot machine on the far left. When everyone split up to go gamble, I headed over to those Buffalo slot machines. They were penny machines. They were also all were being used, which can sometimes be a good sign. So, I sat and watched for a little while. Again, there were no hand pays. But, there were small wins. There were not a lot of small wins, but some. I had to consider if there would be enough to actually make any level of profit, somehow, with the right playing technique. When a machine opened up, I sat down and played to try and get a feel for its odds of winning. What I seemed to notice, and even for me it was a bit hard to spot, was that the slot machine I was on seemed to be providing a small initial win, what is known as a taste. When the other slot machines in the row became available, I tried playing those, too, to see if it matters. My conclusion, and again it was based on a slight but noticeable pattern I seemed to be getting from my pattern recognition abilities, was that each slot machine was providing a taste in the first few bets placed, and then no wins other than usual entirely luck-based wins. It was slight, but definitely there. Combined with the location of these slot machines near a busy walkway, I had a working theory to try out. The next step was to create experiments or make further observations which would either prove or disprove the theory. So, I did just that. Assessing a casino isn’t entirely a linear process. I look for clues everywhere, mostly focused on looking for winning patterns I’ve seen elsewhere while also keeping a eye out for any new patterns. Because, once I find a pattern put in place by the casino, then all I need to do is figure out how to take advantage of it. So, between wandering around and then playing those Buffalo machines, I talked with our Casino Sales Executive. And, I asked him questions which would help me continue to look for clue to winning patterns that I’d seen elsewhere. And, he gave me such a clue. Upon being questioned about Foxwoods Casino Connecticut having six sub-casinos, John told me which of these sub-casinos was newest and how new it was. He told me that the Great Cedar Casino was 6 months old. That was important to know, because it would have the latest and greatest in server-based operating software. And, I knew several ways to test those operating systems for winning patterns. Being years newer than the other sub-casinos, the Great Cedar Casino would have the latest casinos operating software choices for casinos to “tinker” with the winning odds of their slot machines. This bit of information resolved my greatest concern about visiting one of the largest casinos in the world. Some of the sub-casinos would be old, with few winning strategies due to likely having a central computer. Other sub-casinos would be a bit more modern, and a few sub-casinos would be the newest. But, this was my first time at Foxwoods. How would I know which sub-casino was oldest, old, new, and newest in order to apply the appropriate winning strategy. Well, John told me which one was the newest casino. This was my next good clue for figuring out how to win at slots at Foxwoods Casino Connecticut. Now, let’s bring together everything learned, so far. 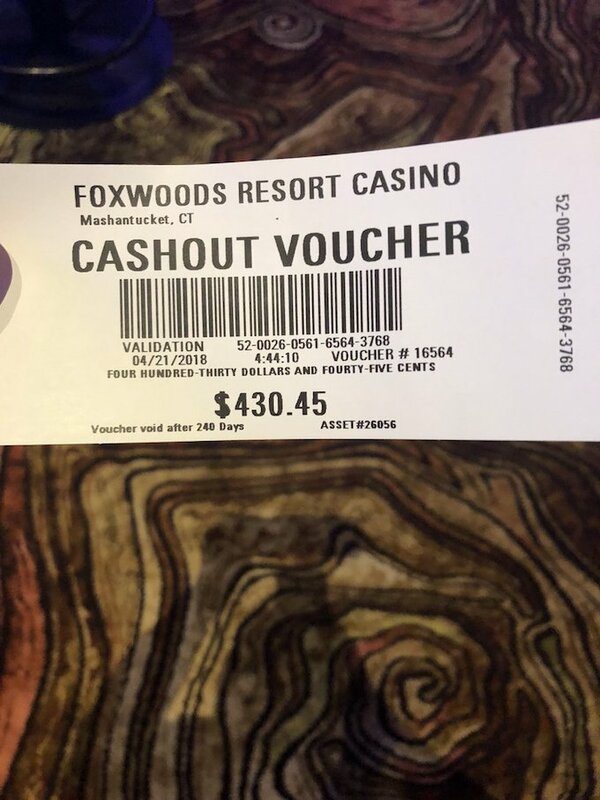 This is what I learned about winning at slots in Foxwoods Casino Connecticut after being there for about 6 hours. I’d have preferred it would only have taken half that time but, well, it was one of the largest casinos in the world. The next morning, on my way back from breakfast, I kept an eye on slot machines facing the main walkway, the largest walkway I’d yet seen, for the Great Cedar Casino. And, do you know what I saw? I saw a winning slot machine at 8 a.m. It was a penny machine automatically playing off free spins. The current jackpot was about $500, and continuing to close with only 20 or so free spins out of 85 completed. Francis, the slots player on that machine, was happy to tell those gathered that he’d only put a $20 bill into the machine. On his first bet, the first push of the button, he won those 85 free spins. And, he hadn’t played maximum credits. Maximum credits was 600, and his bet was for 150 credits. So, for a single $1.50 bet, he was already up to $500 and continuing to climb. About 10 minutes later, we all congratulated him when the rising jackpot went over the taxable limit of $1,200. Another 5 minutes later, the last free spin was over, and his taxable jackpot on this penny machine stood at $1,474.27. This slot machine matched all of the winning criteria I had observed, plus one more that I’d already known was possible from a casino Ohio. This fourth criteria was simply this: Most likely, with it being a weekday morning, that slot machine hadn’t been played for a while before this jackpot. Again, all of this is simply a working theory of a specific casino slot machine setup built step-by-step with careful observation and unbiased deductive reasoning and critical thinking. The point is, I had a working theory to test. So, I did. Over the next few mornings, I won small jackpots on the slot machines facing that walkway, trying to only play slot machines that hadn’t been played for a while. Within a few bets, I won $315.45 on Saturday morning at 4:30 a.m. and, at more normal times, $89.25, $87.60, $135.60, and $105.60. On several other attempts, I won about as much as I had bet. Three times, I didn’t win anything. Since each bet was between $1.50 and $6.00 on these penny machines, according to my gambling records I spent about $40 in bets and won a total of $745.50. When using this winning strategy only, and not including what I spent learning to win, my profit was just over $700. Optimizing this strategy centers around the fourth winning criteria, which was the theory of having higher jackpots when the machine hadn’t been played for a while. With the weekend approaching at one of the largest casinos in the world, the slot machines I wanted to play were getting a lot of use, probably played at least once every hour for 24 a day. But, optimizing this strategy during a busy weekend at the casino is quite possible. I suggest picking your candidate slot machine as soon as whoever is using it is done, and proceed to read a book for a while. How long should you read the book? I have no idea. I’d suggest waiting between 20 minutes and 2 hours before playing the slot machine. Wouldn’t this be boring, you ask? Well, that would entirely depend on the book, now wouldn’t it. I do have to wonder what the casino’s reaction would be to someone reading a book at a idle slot machine that has been set up to provide a taste so that observers run and play on another slot machine as a result, thereby recouping the cost to the casino. Or, other slots players may complain that, if you don’t want to play it, they will. So, as usual, there is always more to learn. If you try reading at a slot machine, and you get a reaction from the casino, I’d be very interested in knowing. Thanks. I did share this winning strategy with other gamblers attending the Gamblepalooza event, with a bit more details offered to a few in thanks. They all came back later saying how much I had helped them win at slots. One even showed me a voucher for a little over $1,100, shown below, which I reasonably assumed was from winning several non-taxable jackpots via the winning strategy I have also described here. They seemed quite happy with it, which made me happy. But, again, for me as a high roller…. Well, let’s just say it was missing a few zeros. But, that’s just how it is for me. 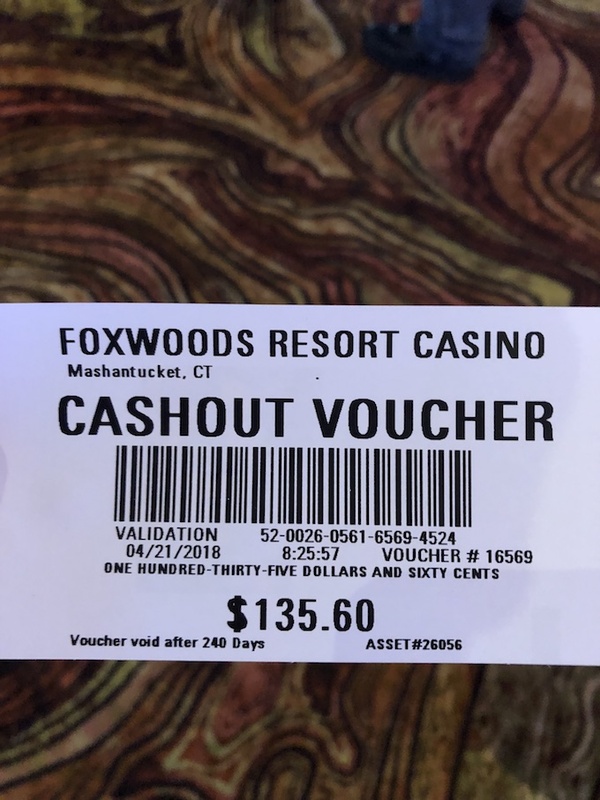 From Thursday, April 19 through Sunday, April 22 in 2018, I visited Foxwoods Casino in southern New England to generate this Easily Win a Little at Slots at Foxwoods Casino Connecticut article. My goals for this casino trip were to provide another casino trip report, and also to meet members of my audience as well as other visiting gambling podcasters. My third goal was to figure out if there was any way to systematically win at slots at this tribal casino, one of the largest casinos in the world and certainly the largest tribal casino. All three goals were successfully accomplished. Initial wins, or tastes, were larger on idle slot machines. I then used this working theory myself, as well as shared it with several of my fans and fellow gambling podcasters, to win small jackpots on slot machines at Foxwoods Casino Connecticut. Previous: Winning Strategy 3: Earning Complimentary Gifts – The most common winning strategy for slots enthusiasts is earning complimentary gifts, from free slot play for signing up for a new players club to a 1-year lease on a luxury car. Whether you are a low or high roller, these “comps” are a great way to be compensated. However, just remember to pay income taxes on them! 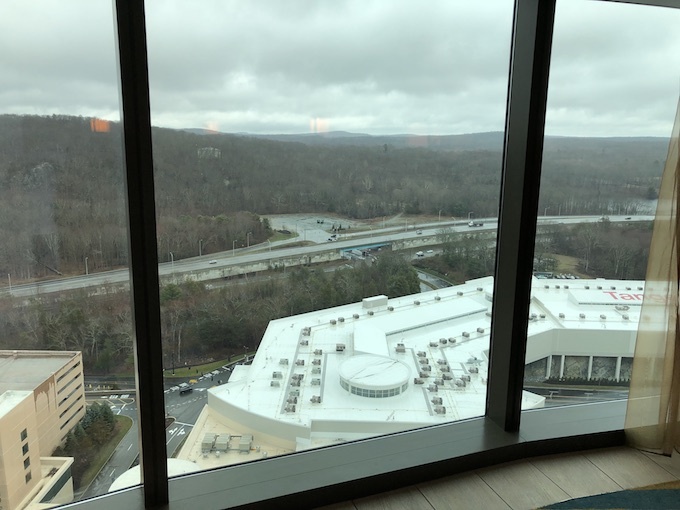 Next: Foxwoods Casino Trip Report 2018 in Southern New England – During April, I attended a gambling podcaster and fan meetup called Gamblepalooza and to provide this Foxwoods Casino trip report 2018. Foxwoods is the world’s largest tribal casino and is located in beautiful southern New England. I participated in high limit group slot pull, was taught to play craps, and met with fans.